Me vs. Dancing | Are You Zhazha? I am not much of a dancer. I love to dance, but it doesn’t love me very much. I took dancing lessons when I was a child, but I had happy blinders on back then and only felt the joy of it, not the embarrassment. I dance in the kitchen when I’m cooking. I dance in front of the kids who only laugh when I really exaggerate my skills. (Their laughs make me happy so I actually exaggerate a lot around them. Plus, I don’t want them to ever be afraid to break it down like their mom.) I can’t even dance with my husband. (One of the reasons I was so happy my wedding dress covered my feet.) I’ve tried to dance in a dance-exercise class, but the other adult students, the instructors and the mirrors all made me feel self-conscious. It was all on me though. No one was being mean to me to make me feel that way. I was not being kind to myself and I never really felt encouraged. 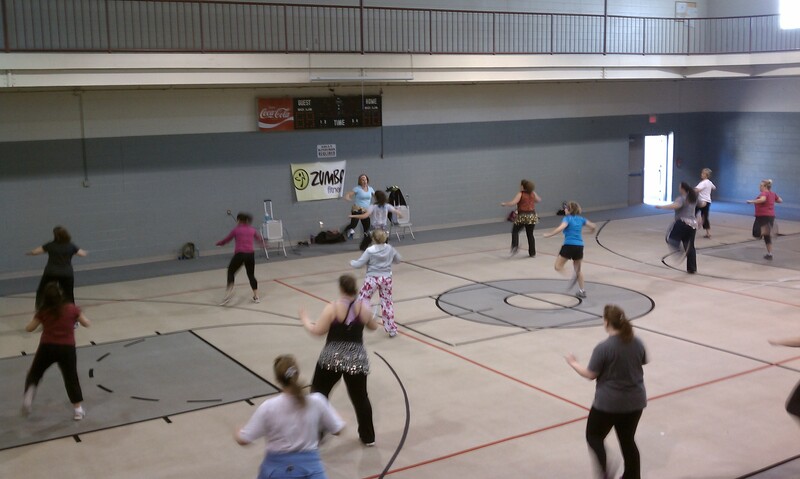 Then, my friend, Leigh, invited me to go to a Zumba class with her at a local church. I had attended another Zumba class once before because everyone talked about how fun it was. I ended up feeling like I always do. Well, that was a downer. I remember the way I felt before meeting Leigh for the class. I didn’t want to go. I told myself, go to see Leigh and burn some calories. It was going to help my health. I’m so glad I convinced myself. This Zumba class is special because of its instructor. Her name is Debbie and she has a refreshing spirit and uplifting smile. When I’m there, my mind doesn’t tell me I’m not good at it. Sure, it helps that there aren’t any mirrors, but I believe it comes down to Debbie’s personality and the friendly faces I see there each time I go. Leigh is a huge fan of Debbie’s and told me I should write a post about her for the Barrow Patch because her story may inspire others. Interviewing her made me feel like a journalist again. It was wonderful. I did get nervous before writing the post because I’m so used to writing all about me, me, me, but once I sat down to do it, I felt great. Dancing did that. Maybe it likes me more than I thought it did. And even if it doesn’t, I don’t care. It’s impossible for me to hip shake or do the Running Man move without smiling.